The skin around the eyes is much thinner and more delicate than the skin on the rest of your face. 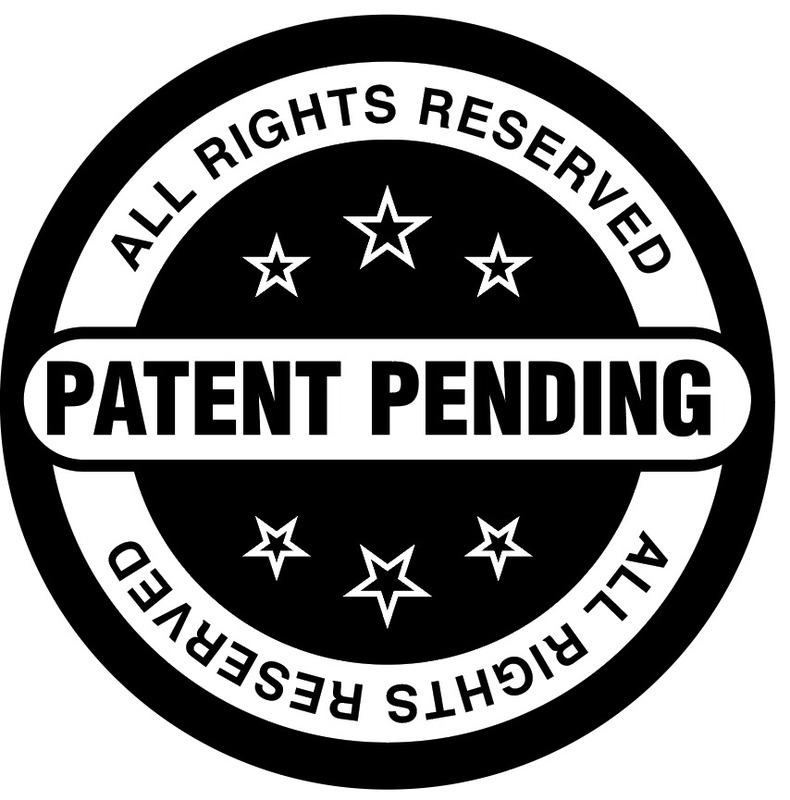 The products that you use around your eyes need to be designed specifically for this area. 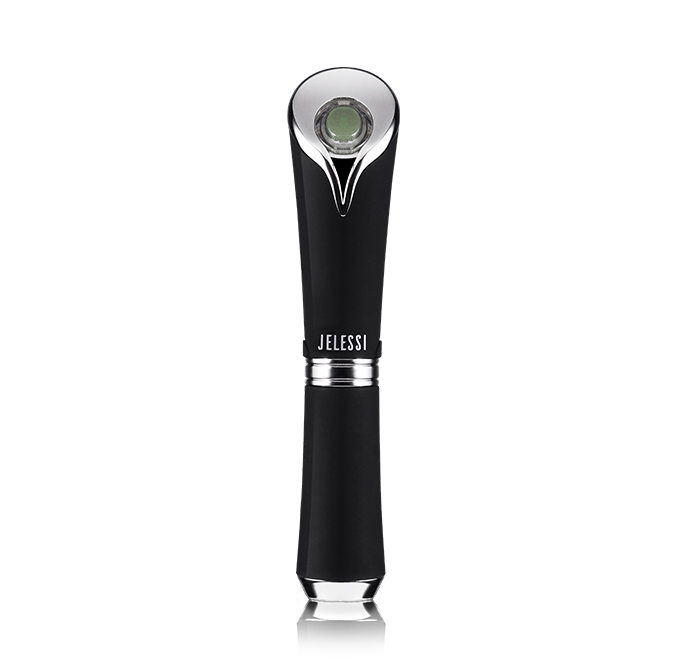 The Jelessi Photonix-2 Eye Wand meets this criterion, and its shape and size makes it extremely convenient to use. 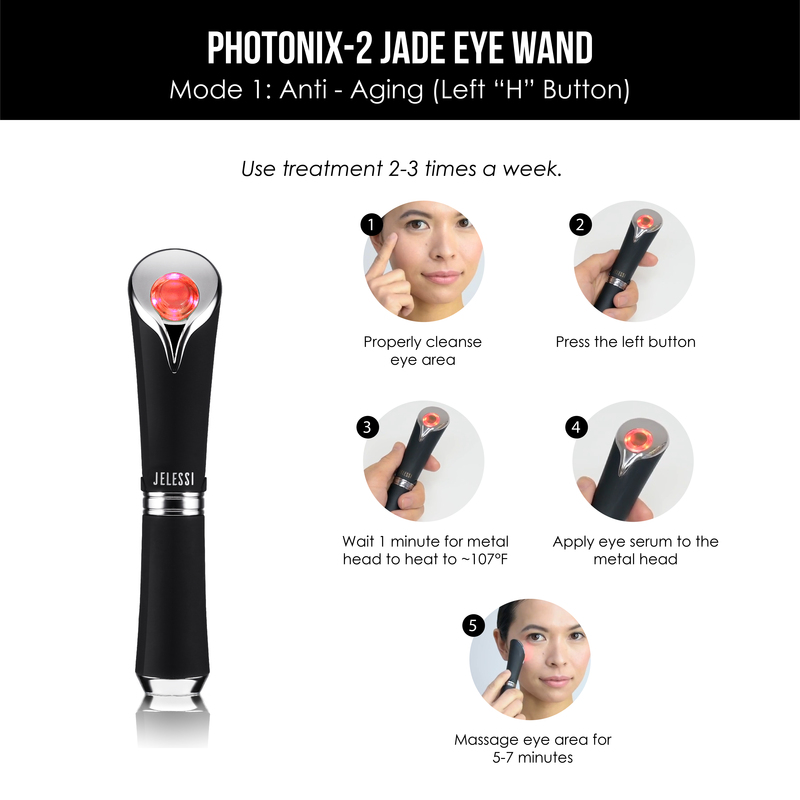 The Photonix-2 Eye Wand has two unique functions. 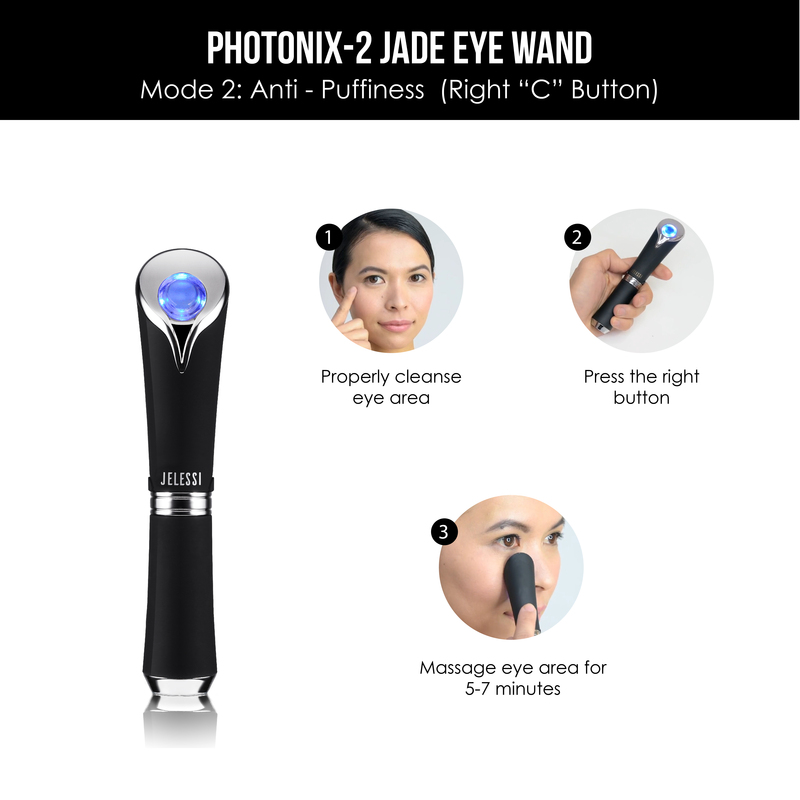 With the Blue Relief Mode, the wand is designed to eliminate toxins, brighten the skin and reduce puffy appearance. 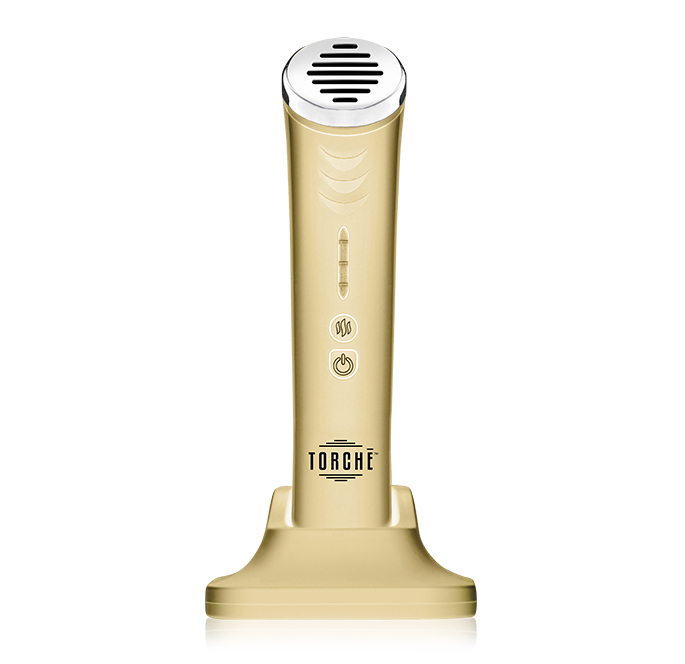 The Magnetic Heat Lifting Mode makes use of red light waves to stimulate collagen and elastin production. Properly cleanse the area around eyes. Press the left button (red light should be visible) and choose desired combination and wait for 1 minute for the metal head to heat up to about 107°F. Apply your favorite eye serum to the metal head and massage around your eyes for 5-7 minutes. Turn off the device and clean with a cloth. 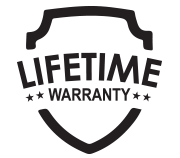 Do not use soap, disinfectants, or liquid detergents directly on the device. Use treatment 2-3 times a week. Press the right button (blue Light should be visible) and choose desired combination . Massage around your eyes for 5-7 minutes. I use this every night as part of my night routine and I’m so happy with the results I’ve been getting! The fine lines seem less noticeable and my eyes are so much brighter! The price is a bit on the hefty side but the results have been priceless. Both features are amazing and have worked wonders on my eye area. I definitely recommend this to anyone who is self conscious about fine lines around the eyes as it has helped me a lot! 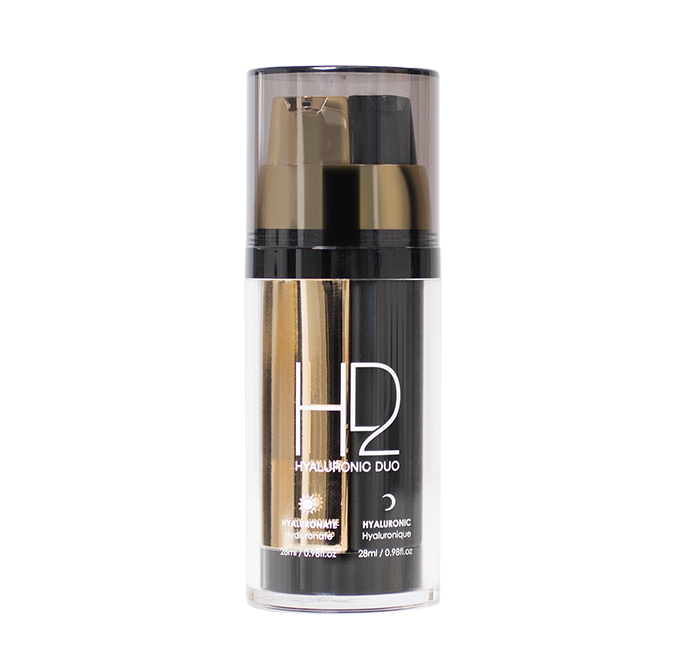 Compact yet so powerful, love how I can just put it in my purse and go its like having my own personal skin care fairy and its so easy to use. 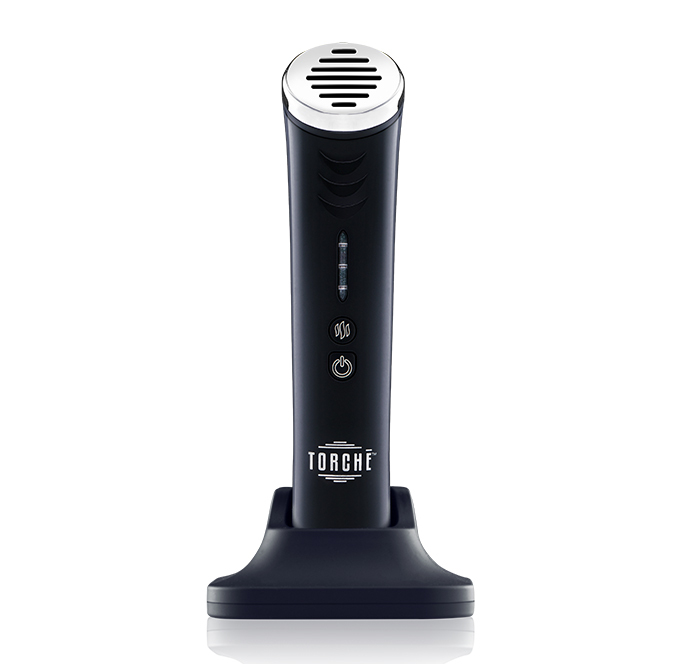 I’ve literally used this in my office before an important meeting.